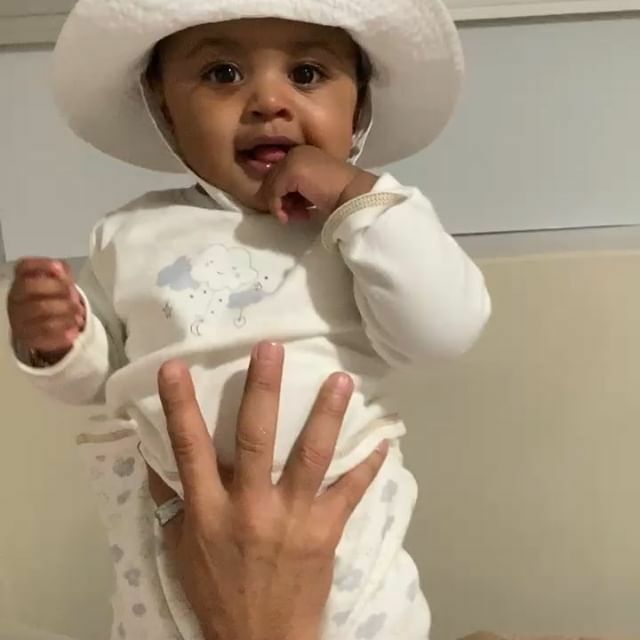 Baby Kulture Kiari is a little Kutie! On Tuesday, Offset shared an adorable video of his baby girl looking as cute as ever. “My beautiful baby girl,” the rapper captioned. In the clip, Kulture can be seen smiling as she hears her mom’s voice in the background. ” Kulture, look at mama,” Cardi B calls out to her daughter. “Pretty girl,” the doting mom adds. Offset, 27, released his solo album, Father Of Four, last month. On his album cover, the musician is surrounded by all four of his kids as he sits on a throne chair. Kulture, who is now 8 months old, is wearing a crown as she sits on her daddy’s lap.